Today’s athletes are bigger, stronger and faster, so collisions are more violent than ever before. Televised extreme sports excite kids to attempt gravity-defying skateboard and bike tricks. Helmets are designed to protect against head injuries ranging from bumps and scrapes to more serious impacts. 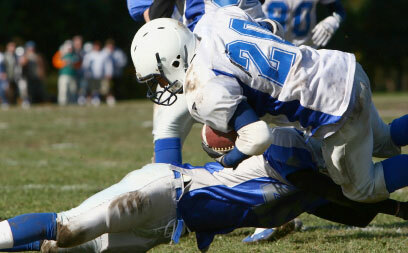 The GelDefender® skull caps were created to provide an extra layer of safety in sports and recreation activities. Click here for our video on how to wear GelDefenderGelDefender® skull caps..
GelDefender® skull caps are made from Impact Gel®—a product derived from natural oils with exceptional properties for dissipating the energy from impacts. GelDefender® skull caps are so light players will hardly notice them. GelDefender® skull caps fit youths and adults with four head sizes, 6 to 8. They cover the side of the h ead above the ears, as well as the temples, the forehead, and the rear and crown of the head. Not only do GelDefender® skull caps add lightweight padding, but the Impact Gel® also cushions against rigid helmet interiors and helps players stay cool. See the Test Results page for more details on cooling tests with helmets and caps. GelDefender® products may be cleaned by wiping with soap and water or a liquid dishwashing detergent. 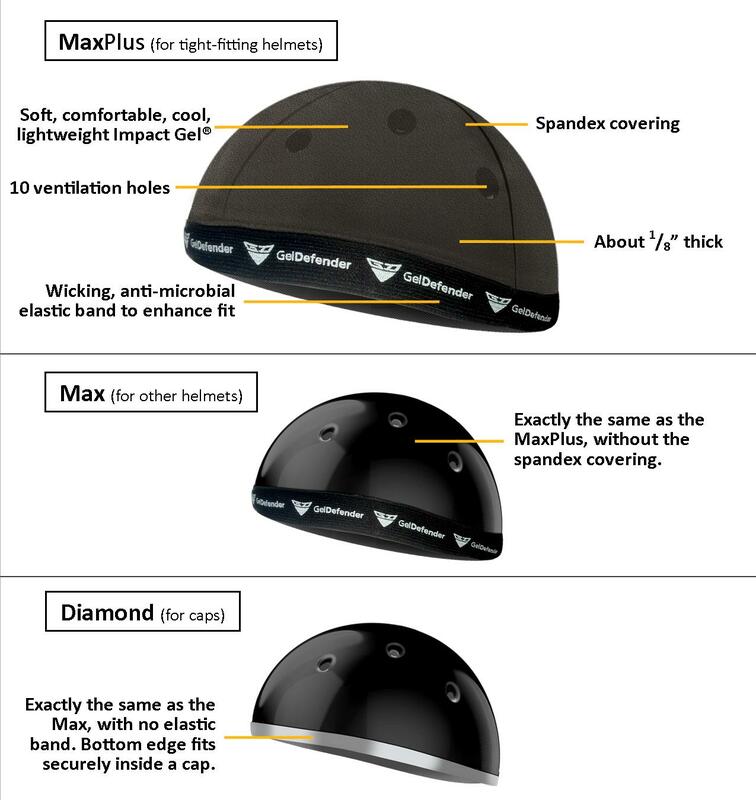 GelDefender® skull caps are durable and need replacement only when wear and tear is obvious.